Punk Spider-Gwen Costume « Adafruit Industries – Makers, hackers, artists, designers and engineers! 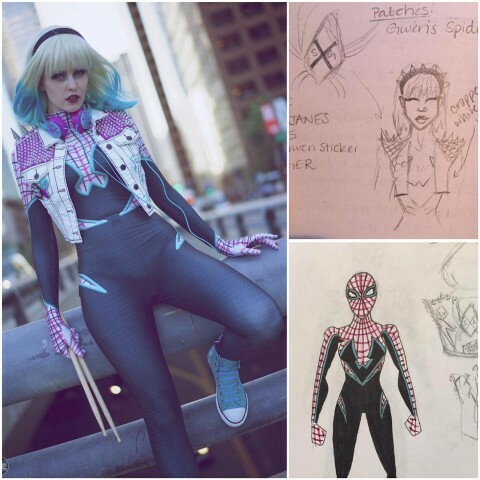 The introduction of Spider-Gwen to the Marvel universe has inspired a ton of cosplay and fashion. I’ve seen countless cosplayers tackle the turquoise and purple body suit at conventions in the past year or so, but Maid of Might Cosplay put a fresh spin on it. She took Spider-Gwen to a punk place with a different suit (she designed it and SpiderBite Designs made it), a cropped jacket, and an alternate hairstyle. This modification is maybe more striking than the original version and a great example of how you can use existing costumes as a starting point to make something new and shiny.